Mobile digital media players that stream audio/video content and play games from the internet have created a strong market following to become product sensations over the last two years. Not only do these devices provide competitive audiovisual services online (with content of more than 250,000 TV shows and movies on Netflix, Hulu Plus, HBO Go, and Sling TV, to mention the major ones), they come in small packages that can connect to any digital media device at home or on the road and enable multiple devices to mirror what you see. At least three major brands compete, and two of these are discussed here: the Fire TV Stick from Amazon, and the Chromecast 2 from Google. Launched on April 2, 2014, the first-generation product was made available in the US for $99.99. Powered by a 1.7 GHz quad-core CPU (Qualcomm Krait 300), 2 GB of DDR2 RAM, and 8 GB of internal storage. Used Android OS, supported Ultra-High Definition TV (4K) video, as well as online Android games. The first generation was launched on July 24, 2013, in US at $35.99. Powered by an ARM Cortex A9 CPU with a 512 MB DDR2 RAM and 2GB of flash memory storage. It came with hardware decoding of H.264 and VP8 video codecs, communicated through Wi-Fi (802.11b/g/n). Sales discontinued as of September 29, 2015. 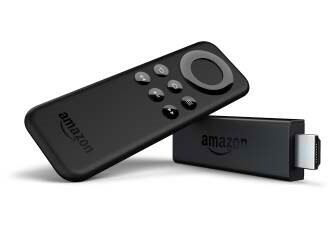 November 19, 2014, saw Amazon release a smaller USB dongle-shaped Fire TV Stick that duplicated most of the functionality of the larger 1st-generation Fire TV. 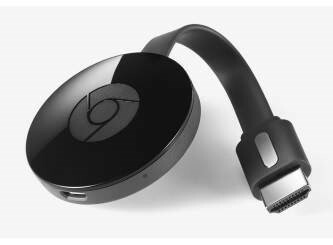 2nd-generation Chromecast 2 and an audio-only derivative, each retailed at $35, were released on September 29, 2015. Comes in a disc-shaped body using a flexible HDMI cable. CPU: Broadcom Capri 28155, dual-core 2xARM A9 at 1 Hz. Qualcomm Snapdragon 600 APQ8064T (less powerful than the 1st-gen Fire). CPU: ARM Cortex-A7, Dual Core clocked at 1.2 GHz. Marvell Armada 1500 Mini Plus 88DE3006. Avastar 88W8887 Wi-Fi support (More powerful than the 1st gen). 8 GB of flash memory for buffering video streams. 2 GB of flash memory for buffering video streams. Supports 4K Ultra High Definition streaming when used with 4K UHDTVs. Less buffering, learns Amazon movies and shows you like so they start instantly. Supports Amazon Instant Video, Prime Videos, and Prime Music offering over a million titles as well as 3rd-party apps. Supports Amazon Cloud Drive (free 5 GB storage). Plays various Android games and can connect via Bluetooth to compatible Android game pads sold separately. Web browsing with Google Chrome. Form factor best suited in tighter spaces such as wall-mounted HDTVs with connectivity ports located at the back rather than on the side. Less buffering, Fast Play feature predicts and preloads what you will watch for faster display. Plays Android games on Google Cast. Faster responsiveness than older generation device. Comes in Coral, Black, and Lemonade body colors. Android and iOS mobile devices, PCs, and Macintosh computers running MS Win 7+ and iOS 8+. HDMI 1.3b with HDCP 1.4. Dual-band, dual-antenna Wi-Fi (MIMO); supports 802.11a/b/g/n Wi-Fi network. Bluetooth 3.0 (w/ HID &SPP). Optical audio out via Toslink. Wi-Fi (802.11 ac @ 2.4/5 GHz) with triple adaptive antenna. 10/100 Ethernet (with optional USB adapter). Audio: AAC-LC, AC3, eAC3 (Dolby Digital Plus), FLAC, MP3, PCM/Wave, Vorbis. Photo: JPEG, PNG, GIF, BMP. Dolby Digital, Dolby Digital Plus pass through. Video: H.264 (High Profile Level 4.1), VP8. Audio: WAV, Vorbis, MP3, HE-AAC, LC-AAC. Photo: BMP, GIF, JPEG, PNG, and WEBP. Not as responsive as the 1st-generation Fire with longer wait times between online services and choppy or slow response in serious games. Game selection limited to casual play, not high performance games. Free space is only 5.16 GB, limiting the amount of games that can be installed. Bundled with remote control that has no voice-search support. Requires an upgrade to same remote control used in the 1st-gen Fire at $29.99 or Amazon’s free Alexa voice-search application download to Android smartphones or tablets. No Web browsing except for Amazon site. To control the unit requires a smartphone running Android 4.1 or later, iOS 7+, and PC or tablet running MS Windows & or higher, and Chrome OS 28 for Chromebooks. Requires apps compatible with Google Cast running on any of the devices above to stream content to Chromecast. Does not support Amazon Instant Video. Received reviews mostly praising competitive functionality and future potential considering its support for 4K video. Well received by tech critics who extolled its simplicity, and performance reliability. More than 20 million sold globally since launch as of Sept., 2015. As of May, 2015, it processed more than 1.5 billion stream requests. There are pros and cons in both devices, and your purchase decision may depend on your priorities. 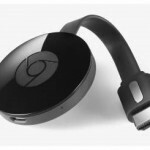 If 4K video resolution is not a requirement (as most consumers have yet to make a jump to UHDTV anyway) or you already enjoy a separate gaming device like PlayStation TV or NVidia Shield Android TV, then the Google Chromecast is the more sensible option for streaming HD content to your TV at the least cost. A dedicated remote control would have been an added advantage, but the fact that you can control it with your smartphone serves the purpose. On the other hand, the Amazon Fire TV Stick is a great value in terms of innovation and future-proofing. 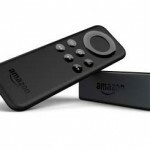 If you already invested a lot into the Amazon ecosphere, the Fire stick is the right choice. But outside of its smaller dongle form factor that makes it convenient to carry around, most tech gurus prefer the older Amazon Fire TV that still retails online at $99.99. This is due to its faster responsiveness thanks to a more powerful CPU, a voice-search enabled remote control in the package, ability to stream high performance Android games, and memory storage expandability. But, at around a third of the price, the newer Fire Stick delivers what it promises to do. de. "Difference Between Fire TV Stick And Chromecast 2." DifferenceBetween.net. July 16, 2018 < http://www.differencebetween.net/technology/difference-between-fire-tv-stick-vs-and-chromecast-2/ >.